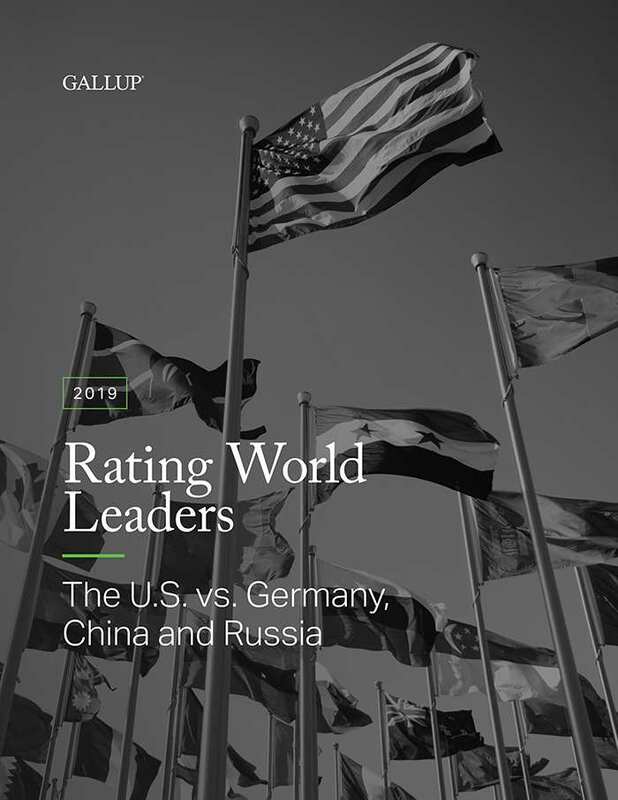 Discover how people in more than 130 countries and areas rated U.S. leadership during President Donald Trump's second year in office -- and how the global image of U.S. leadership compares with the leadership of Germany, China and Russia. Should the U.S. care what the world thinks? The short answer is yes. The global approval rating of U.S. leadership sits at its lowest level for any of the past three U.S. administrations. This low rating could have implications for U.S. "soft power" -- getting people to go along with policies because they want to -- and billions in U.S. trade. And while it's not yet clear whether it's a success or failure, Trump's foreign policy of "America First" in its second year may have opened the door for China and Russia to flex their global influence. What does this mean for U.S. influence abroad for the next year of Trump's presidency? Global leaders can download this report to compare how people view the leadership of major countries, so they can know what the people are thinking and then choose to do what they think is right. approval rating of Russia, the first time this country has been on equal footing with the U.S.
Download the report about the world's views on global leadership. To receive an email with a link to download this report, please complete this form. Someone from Gallup may also contact you via email about your interest in this topic.